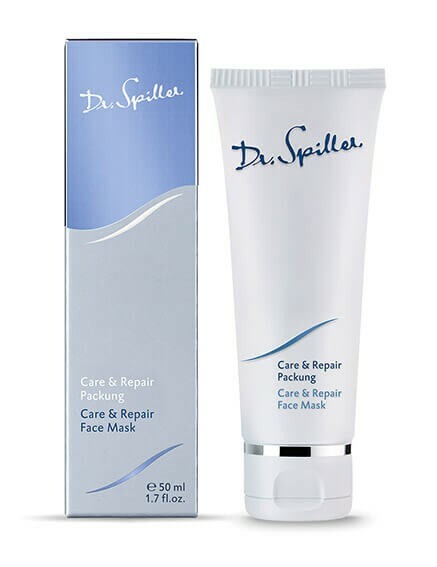 Care & Repair Face Mask is a complementary skin care product that protects against premature, sunlight-induced skin aging and combats UV-related damage. The Care & Repair Face Mask is a complementary skin care product that protects against premature, sunlight-induced skin aging and combats the negative effects of UV-related damage. OPC, a highly effective antioxidant, fends off free radicals and effectively binds moisture, preventing photo-aging. In addition, shea butter and vitamin E envelop and deeply nourish the skin. Generously apply cream mask to face, neck and décolleté once or twice a week. Use water or a damp cloth to remove excess after 10–20 minutes and follow with your choice of intensive skin care and Care & Repair Cream.